Whether you need a half yearly checkup or you’re long overdue for a periodic examination, V Care Dental can provide assistance with our dental checkup and cleaning services. Our teeth cleaning dentist will examine your teeth for damage and decay before looking for signs of oral cancer and gum disease. A clean will also be provided to help maintain good oral health and hygiene. A dental checkup and cleaning is typically recommended twice a year, but those with advanced gum disease or a weak immune system may require more regular checkups. 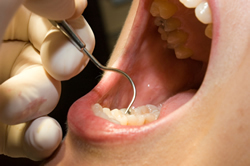 Your teeth cleaning dentist will first ask you if you’ve experienced any dental problems since your last checkup. They will also take a note of any new medications you’ve started taking. 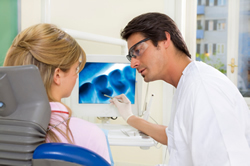 Dental x-rays may or may not be necessary depending on the extent of any problems found. Regular x-rays of your teeth may also be taken every few years to ensure there are no developing problems. If any problems are discovered in the course of your checkup, your teeth cleaning dentist will draw up a treatment plan for you that outlines the necessary work as well as its cost. You’ll be able to make an appointment to return to our clinic at a convenient time to obtain the necessary treatment. To make an appointment for a dental checkup and cleaning at V Care Dental, contact us today on (03) 9772 7175.